Moon Hunters Kickstarter campaign went completely under our radar, folks. I saw the trailer you see above this morning, I hopped over to the Kickstarter page for the game and found that it had beat its $45,000 CAD goal with $178,986. Moon Hunters, thanks to that successful campaign, is now bound for the PC, PlayStation 4 and PS Vita in 2015. Developed by Kitfox Games, this title looks incredibly interesting. Creative Director Tanya Short wrote about the game on the PlayStation Blog. It actually sounds fairly unique. 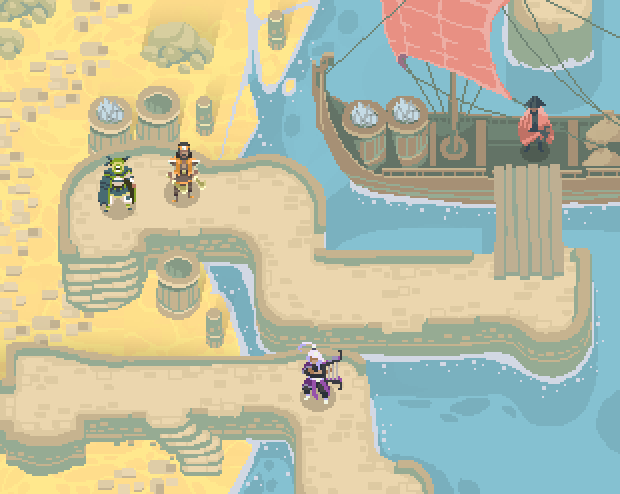 If you haven't heard of Moon Hunters, it's a 1-to-4-player, mythology-building action RPG. Set in a fantastical ancient Mesopotamia, you play as one of the heroes trying to figure out what's happened to the all-powerful Moon, which has gone missing. Along the way, you journey through a world that's different every time, and make decisions that show your personality. Your personality traits determine your reputation, but also how you're remembered in legend after you're gone. If you're truly memorable, you might even become a symbol of heroism as a constellation in the night sky, visible in all future playthroughs. The length of each playthrough, according to Short, checks in around three hours. So, Moon Hunters is meant to be explored again and again, and hopefully you'll build the virtual night sky in your own honor each time. We'll keep our eyes on this one moving forward, folks. Hopefully it plays as well as it sounds and looks.